Clarets centre back James Tarkowski is expected to shake off a knock to face Stoke City at the Bet365 Stadium on Sunday. 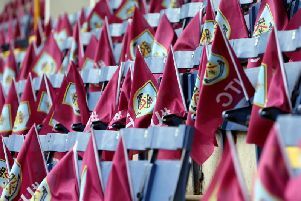 Tarkowski picked up an unspecified problem in Thursday night’s 2-1 defeat against Chelsea at Turf Moor, and, with Ben Mee also a doubt for Sunday, having missed the last three games with a shin injury, Burnley are sweating on the newly-capped England international’s fitness. Burnley have carries only three centre backs all season, and Sean Dyche would only have Kevin Long as a recognised senior player in that position, though he has unorthodox options in the form of Charlie Taylor, Jack Cork and Phil Bardsley, who could play there. Dyche said on Tarkowski: “It’s settled down overnight. I’m think he’s going to make it. ”We’ve been carrying the three main centre halves all season and we've done well with that. “It’s the complexities of it, we’re not in a position to be a player for sake of it to fill a hole. That player might be £10m. “We have to look all over the pitch, we’ve brought in players and we’ve lost some. Contractually we’re in good shape.